Welcome to the Castillian Club, featuring this quaint, single-bedroom, corner unit with a bathroom, walk-in closet, spacious living area and kitchen. The unit is fully tiled, well-maintained, sweetly upgraded and equipped with basic kitchen appliances. It also has a spacious balcony. And as a corner unit on the top floor, it offers great views and added privacy. Castillian Club is a private, gated community that requires authorized entry/exit only. The community also features a laundry facility, private pool and tennis courts intended for community residents only. 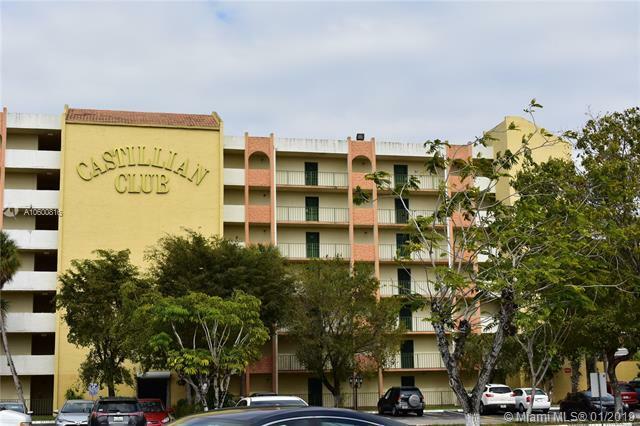 It is very centrally located; it sits on Flagler Street, blocks from SW 97th Avenue. It is in close proximity to other major roads and highways as well as many retail, commercial and service centers, schools, malls and eateries. Listing courtesy of Featured Properties Int'l..